We all have our version of what constitutes a perfect day. That image can change given where we are in our life at any given time. Since I’m committed to logging at least 10,000 steps daily, a perfect day for me is sharing an active outdoor adventure somewhere visually interesting with people I love. With that as the criteria, Saturday was a perfect day. 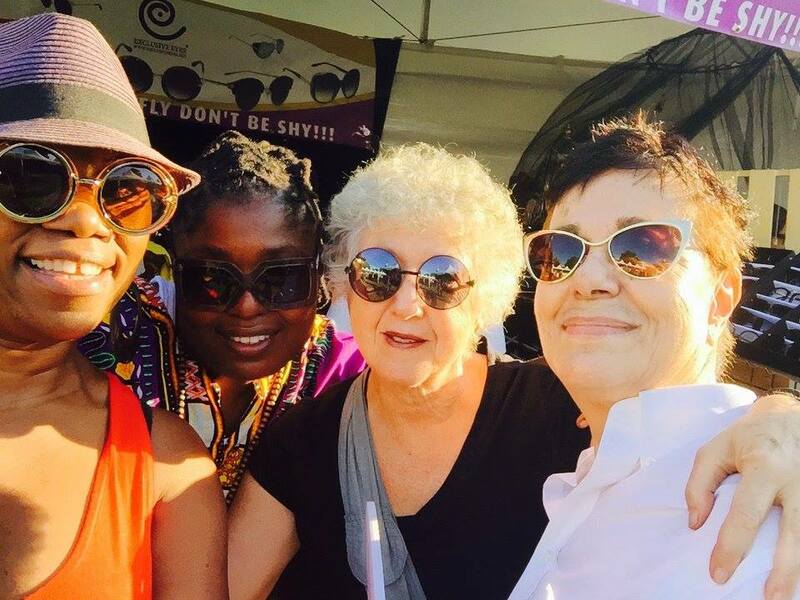 I went to the Afropunk Festival in Brooklyn with my friends Ruth LaFerla and Deb Mitchell. It came about by accident. Ruth and I had gone to the movies on Friday night. She told me she was going to the festival the next day for a story she was going to write for the New Yorks Times Style Section where she has worked for the last 15 years. When she heard me gasp, she asked if I wanted to come along making it clear that I’d be on my own since she’d be working. Early Saturday morning, I got a call from Deb, a TV producer and social media guru, who has been guiding me through the blogosphere. She told me she was going to Brooklyn for the day. When I asked what she was doing, she said she was going to the Afropunk Festival to do a story for her blog. Hello, party time!! The Afropunk Festival had its beginnings 11 years ago in a small lower eastside club. It is now held at Commodore Barry Park in Fort Greene, Brooklyn, and is a two-day affair of black arts, music and culture that draws a daily audience of more than 30,000. This year’s headliners included Lenny Kravitz, Grace Jones, and Lauryn Hill. Shopping for sunglasses at Afropunk. Debbie Mitchell, Diamond (Exclusives Eyewear), Marian Rivman and Ruth LaFerla. When Ruth, Deb and I arrived, we let out a collective OMG!!! What struck us were the creative fashions and style and the overwhelmingly good vibe of the festivities. Afropunk is the visual equivalent of a delicious, exotic smorgasbord. We didn’t know where to feast our eyes first. I zeroed in on women’s faces. Camera shy that I am, I loved how confident they all were as I pointed my iPhone in their direction. Deb and I hung out together while Ruth went off to meet the photographer she would be working with. Despite the throngs of people, in yet another coincidence, Deb and I ran into Ruth hours later as we were ready to head back home. The three of us collapsed in a cab. We couldn’t stop talking about what a perfect day it had been. In case you’re wondering, I logged my 10,000 steps and then some.